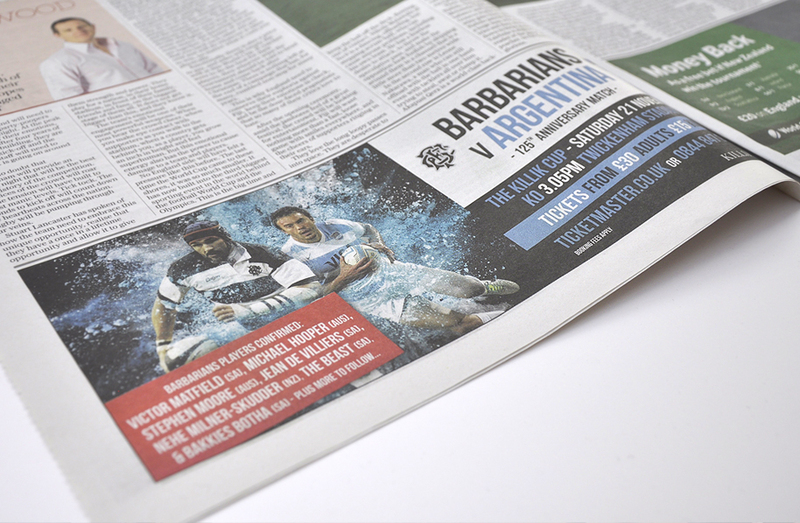 For the Barbarians v Argentina campaign, we knew we needed to be bold. The game was taking place a few weeks after the Rugby World Cup Final. 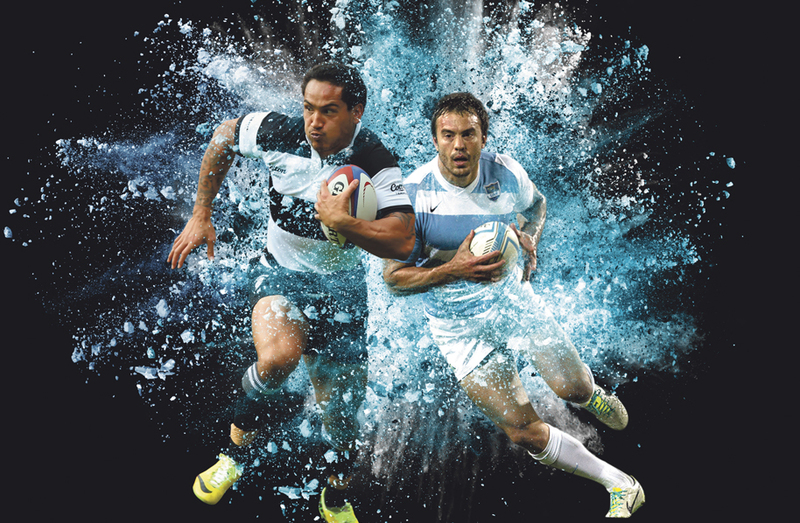 It would be marketed throughout the build up and the tournament itself which meant that it would be competing with the hottest rugby tickets on the planet and Argentina, although now one of the top five sides in the world, weren’t, at the time, a massive draw. The creative solution we opted for depicted a player from each team wearing their distinctive hooped shirts. We then used an explosive powder technique behind the players, a decision that was born out of the need to portray an explosive, exciting game but and also that we wanted to bring this to life for digital applications. The end result was striking and used initially in print and then, as the game neared, in digital media including website banners, email, LED Perimeter Boards, Big Screens and digital 6 sheets. 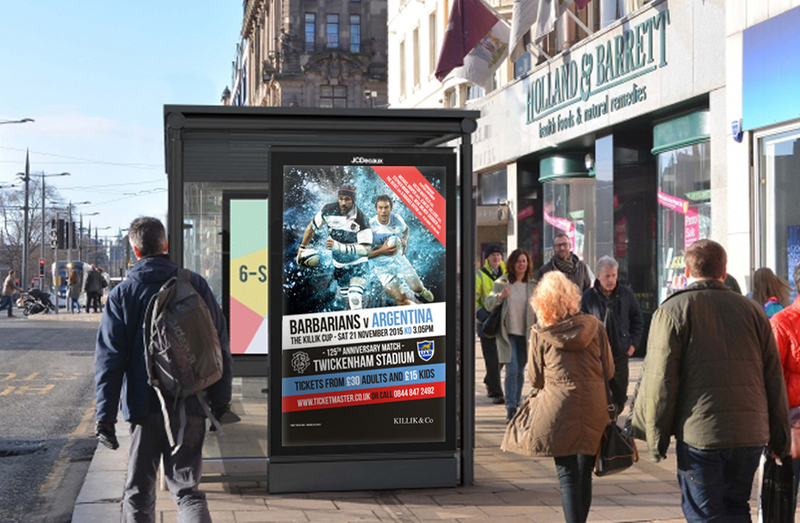 The game reached it’s budgeted figure which was initially a real concern for the client when the scale of The Rugby World Cup effect was unfolding on other related events.